Nails are an important part of your body. Good nails reflect and speak a lot about your health, hygiene and style. Many women who want to look gorgeous and want perfection from head to toe, for them, having clean and healthy nails are also important besides wearing a perfect dress, footwear, makeup or jewelry. Healthy and beautiful nails make your hand look good and give you more confidence. It adds more beauty to your fingers and hands. Thus, the beauty and health of the nails should not be ignored and should be a part of your beauty regimen. Talking about the old times, it wasn’t like that the women of that age were not much concerned about beauty. They were very conscious about their skin, hair, nails etc., but the amazing fact was that they didn’t use the chemical products as we use now. They used simple home remedies and tricks to stay healthy and beautiful. Our grandmas used simple tricks to get amazingly healthier and beautiful nails too. Unfortunately, we are so busy in our life that we do not bother to try those tricks! Many women seek to visit the salon or beauty clinics in order to have beautiful nails. A well balanced diet, a good personal hygiene and some simple regular activities can help you achieve salon-fraction nails without any chemical burden and are cost effective too. Whenever you rub lotion or oil in your hands, make sure you also make it to your cuticles and nails. This is because due to regular hand washing and using sanitizer on daily basis, the skin gets dry and nail beds quickly. So, in order to deal with this, a good moisturizer should be used after every wash if possible. Coconut oil is the best one to rub your nails and cuticles. Many nail polishes contain chemicals that are toxic and provide harm to your nails. These chemicals may include toluene, dibutyl phthalate, dimethyl and diethyl phthalates, camphor, and formaldehyde. These chemicals prove to be very harmful for your nails. Many nail paints also do not contain these chemicals, so you need to check the label before purchasing. 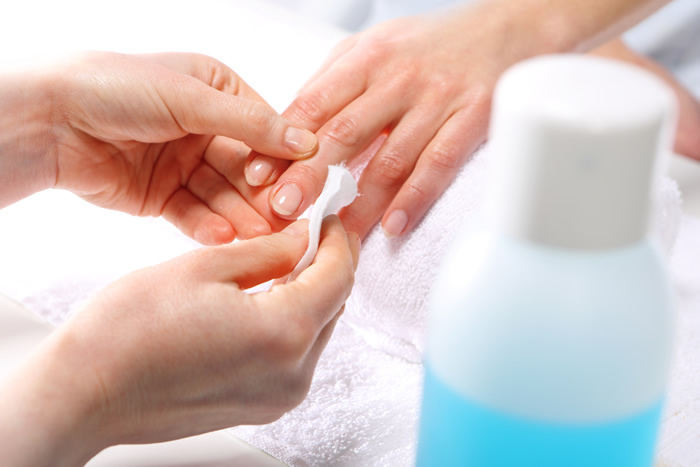 Nail remover contains acetone that is not good for the health of your nails. So, consider buying nail pain removers that are acetone free, which is less harsh on your nails. Many nail paint brands sell nail paint removers that are made entirely from soy and corn. And also, there are also such brands available who sell nail paint removers which contain fruit acids and vanilla. Besides using some chemicals to maintain the health of your nails, some simple tricks can also do the work that can be done at home. 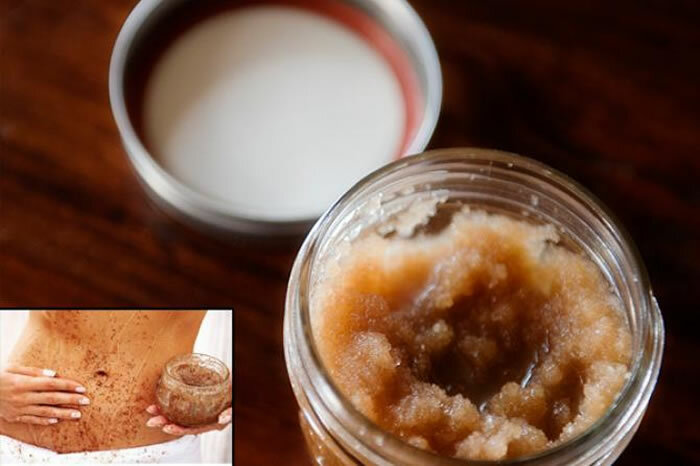 Sugar scrub can be an amazing thing for your nails, as this scrub removes dead skin, smooth and exfoliates the nails and make the appearance of the nails better. The sugar scrub can be made at home and should be gently scrubbed to the nails and also the sides of the nails. Another ingredient that stands out to be the best for the health and appearance of your nails is the olive oil. Olive oil contains such natural properties that softens and repairs the dry, damaged and peeling nails. Olive oil keeps your nail stronger, nourishes rough and ragged cuticles and adds shine to your nails. This could be the perfect remedy for strong and beautiful nails. As lemon is a natural bleaching agent, so it is also very beneficial for your nails. Using lemon can remove dust and dirt from your nails that can be occurred due to pollution. It also makes your nails look more shiner and beautiful. As it contains Vitamin C, it is considered to be great for nail growth and to get rid of yellow nails. So, nails should be soaked in lemon water to get super shiny . The remedy can be tried once in a week to get the amazing desired results. Diet is very important in keeping and maintaining healthy . Protein is very important as are omega-3 fatty acids. Consuming foods that contain vitamin B reduces brittleness; zinc gets rid of white spots; iron prevents ridges from forming; calcium keeps them strong; vitamins A and C prevents dullness and drying. Drink plenty of water to stay hydrated.